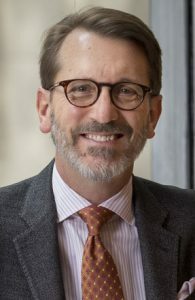 Michael Pietsch is Chief Executive Officer of Hachette Book Group, which comprises eight publishing divisions – Little, Brown and Company, Grand Central Publishing, Perseus Books, Little Brown Books for Young Readers, Orbit, Hachette Nashville, Hachette Books, and Hachette Audio. HBG is the U.S. division of Hachette Livre, the world’s third-largest publisher of trade and educational books. As CEO, Michael has overseen the acquisitions of Perseus Books, Black Dog & Leventhal, and Hyperion Books during a period of growth and transformation for HBG. Earlier in his 40-year publishing career, as Publisher at Little, Brown and in editorial positions at Crown and Scribner, Pietsch edited or published books by acclaimed writers including James Patterson, J.K. Rowling, Stephenie Meyer, Malcolm Gladwell, Donna Tartt, Michael Connelly, Tina Fey, David Sedaris, Anita Shreve, Walter Mosley, Stacy Schiff, Alice Sebold, Peter Guralnick, Keith Richards, Chuck Berry, David Foster Wallace, and a posthumous memoir by Ernest Hemingway. He continues to edit select books, and his passion for the close partnership between writers and publishers is the foundation of his approach as CEO. Michael is a graduate of Harvard College, and serves on the boards of Poets & Writers and the Association of American Publishers. He joined PEN America’s Board in 2014, and chairs PEN’s Nominations and Governance Committee.